Hi. This is Rushikesh, AIR 555, CSE 2014. When it comes to geography, there is no source in market which can cover it thoroughly as this one. All sources including NCERT are half baked, limited and unclear with many explanations. These notes are excellent material for anyone who wants to get hold over this subject. It has way too many diagrams, figures and maps for explaining concepts and phenomenons. Its in lucid and understandable language. I always struggled with geography till i got hold over this material. After studying this, i suggested many of my friends to buy this online. Its simply because, the cost is not at all prohibitive, rather a student friendly. Secondly once you understand the amount of efforts put in creating this masterpiece, you yourself will appreciate the value of buying this one. Thirdly, notes are frequently updated according to current trends. It is indeed one stop solution for prelims and mains. You can certainly ignore all other material, including NCERT if you study this one. Heartly congragulations for making it into Civil Services Rushikesh. And thanks for suggesting Pmfias to your friends. We appreciate that ? Thank for making time to review our Geography notes. Your review is invaulable to us. Excellent synthesis of all available sources at one place. The contents covered are in line with UPSC demand. In depth understanding for all the concepts is provided at one go. Keep up the good work and keep helping us. I have gone through few chapters, its wonderful, to the point, very concise. It is like a guide and with reference book/internet help, one can explore entire upsc syllables at one place, in one go. BETTER THAN ANY BOOK FOR SURE..
It’s a good reference material, pretty holistic, would have appreciated a smaller gist of it which was available for revisions. Thank you for your review and suggestion. I will definitely include a quick revision notes along with the comprehensive one. I stumbled across PMFIAS through Google and since then it has become my goto website for any geography related search. Not only it’s coverage is vast and exhaustive, but the explanations are simply fantastic. 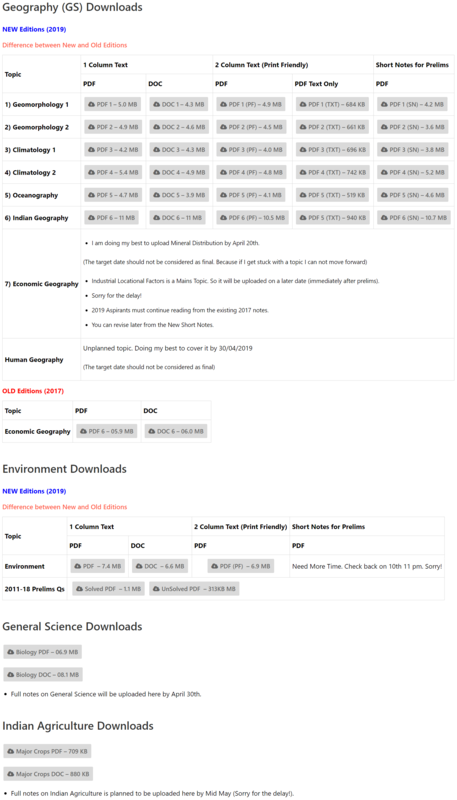 Even the most complicated of the concepts in Climatology are explained really well. And the best part is ofcourse the associated diagrams. I highly recommend PMF IAS. Take some time to go through the excellent videos on its youtube channel as well. PS: I have not gone through the entire notes. Because I had already prepared them through NCERT. But whatever concepts I had to search for additionally, it was present in PMF notes and I was more than satisfied. We appreciate you for making time to review our Geography notes. We are very pleased to hear that Pmfias.com was helpful in you geography learning. Thanks! Thank you for your review Devaraj. I will definitely try to make notes on Indian economy as well. But not really sure when it is going to happen. This will be one stop solution for both prelims and GS-1 Geography section. Easy language with bold texts in eye-catching fonts and colours. 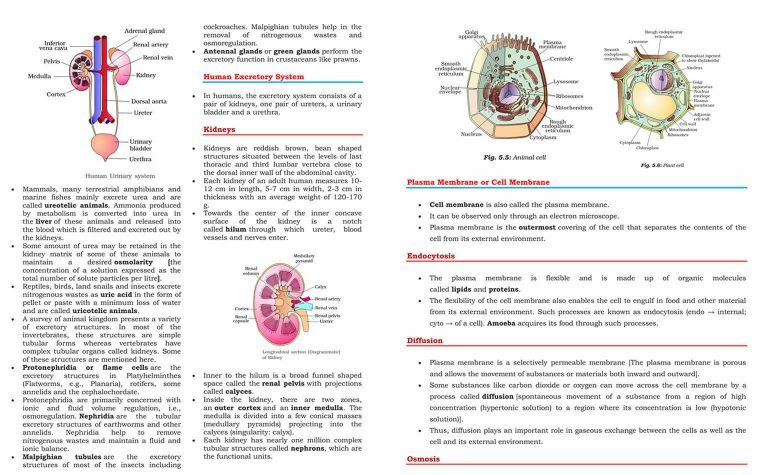 Very helpful diagrams that will add value to your mains answers, the point format will help you in quick lookup as well as revision. No other source material needed, even NCERT will be redundant (though keep an eye for boxed items in NCERT books for prelims). I can see how much effort must have gone in editing and compiling this material, buy it to support the team and more importantly, to help enrich your answers. It was an accident that I stumbled upon PMF notes and according to me, it was turning point in my Geography preparation. During my preparation, I relied on only the ncerts and the problem with NCERT’s is that they sometimes skip some basic fundamentals especially in the 11th Indian Geo and Fundamental Geo. It’s assumed that the student has already prepared these so sometimes we can get naturally confused. This is where PMF notes steps in and fills that gap. It’s lucid and explained the concepts really well so any novice can easily follow. Thank you for your comprehensive review Avinash. Good luck! 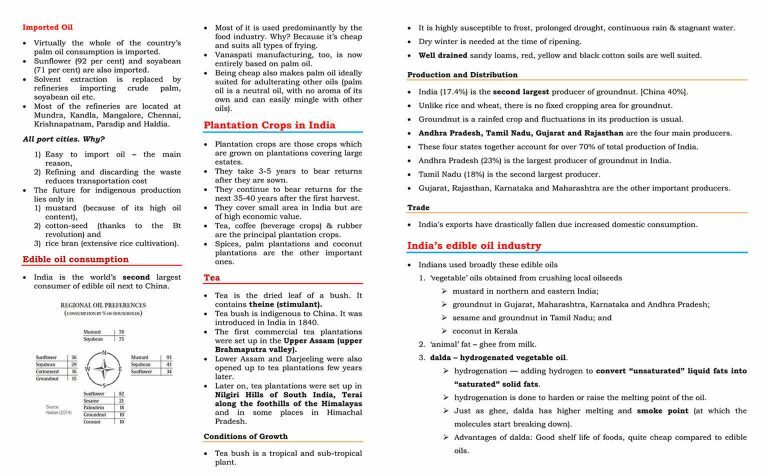 Exhaustive detailed coverage of GS geography syllabus and one stop solution for the chapters provided.But some of the chapters in Indian geography like transport,Industries etc and some coverage about world geography is missing.It may be best if the chapters are integrated with UPSC prelims questions and GS questions. Thank you for your review Sudip. I have noted the topics you mentioned as missing. I will definitely incorporate all relevant topics in the next revision. I will notify you of changes via email. Thank you for your review Kedar Kulkarni. We appreciate your support. Good luck! Thank you for your review Neeraj. Good luck! Thank you for your review Sheetal. Good luck! Thank you for your review. Good luck! Thank you for your review Kuldeep. Good luck! The best notes one can have for UPSC (GS Paper). Awesome is the word. So lucid and easy to understand. The best part is that they are written point-wise, so that they appear simple to the eyes. Thank you for your review Pratik. Good luck! I came across pmfias while I was searching for geography videos, after completing the video series I bought material online. I consider it as a one-stop destination for upsc geography section, it is very comprehensive and you can use the material for both prelims as well as mains. 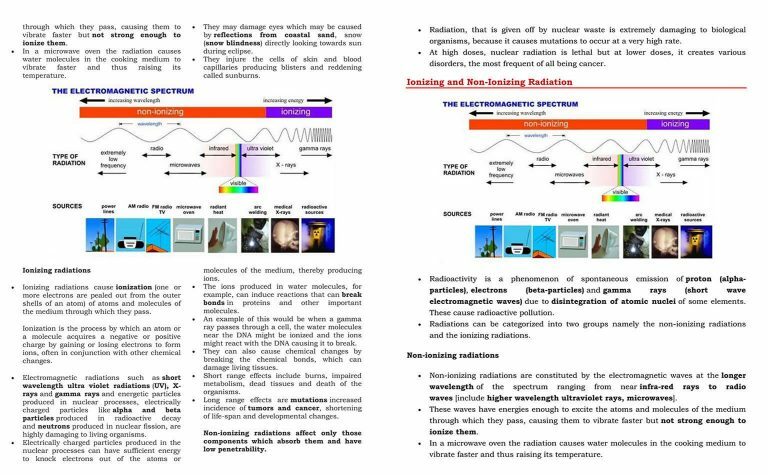 I explanations in videos are very helpful and the material is useful for revision. Thank you for you review Sharanya. Good luck! 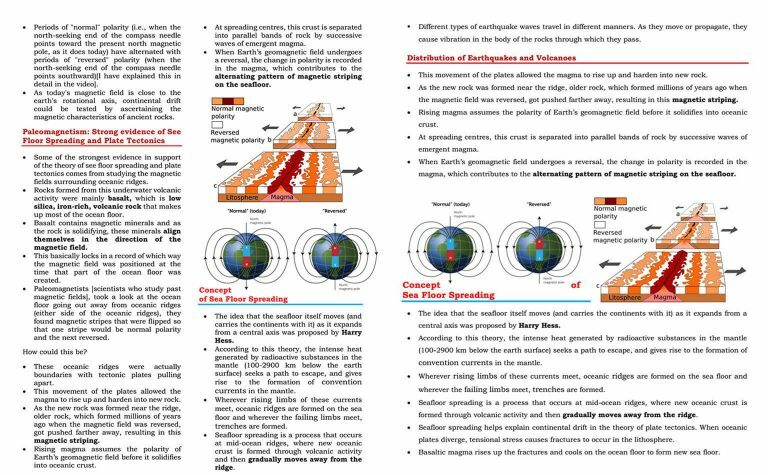 mixture of both ncert and spectrum geography . After reading the ncerts and a standard reference book it is worthless and time waste to go for it.As it is a big book prepared by mixing both of them.literally copied and paste the sentences. I made this notes for personal reference so I didn’t take it very professionally in the intital days. I am making efforts to correct my mistakes. I will be rewriting the book comletely and in it will be published soon. I disagree with your “worthless and time waste” comment. Yes the book is big (in terms of pages due to lot of images) but it is definitely not a time waste. I have explained a lot of complex concepts in a very simpler manner (No standard book explained complex concepts like Indian Monsoons, jet streams, cyclones etc. like I did in my notes). May be you didn’t like too many facts presented in the book. It’s okay. You are entitled to your opinion. In the next revision I promise it will be original, short and way better. Videos explanation is good work. Notes are crisp and up to point. Expecting more videos and notes on other UPSC subjects. Thank you for your review. Will definitely try to bring more content. Concise crisp notes. Apt for gs1 and geo optional paper.. really ur poorman’s Friend!! Excellent work with superb compilation in very reasonable price, thank you. The notes provided are really great and very exhaustive..